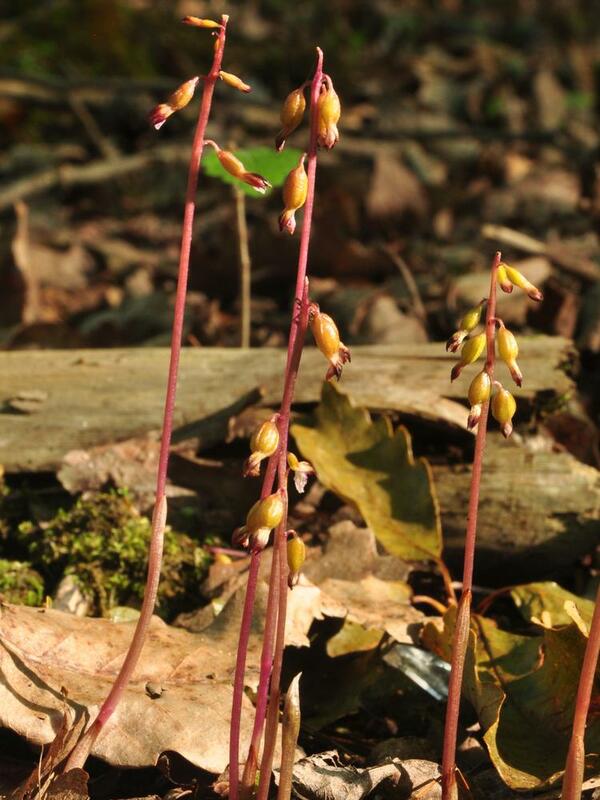 Corallorhiza odontorhiza, commonly called Fall Coral Root, is widely distributed across eastern and central Canada and the United States, from Quebec to Texas. 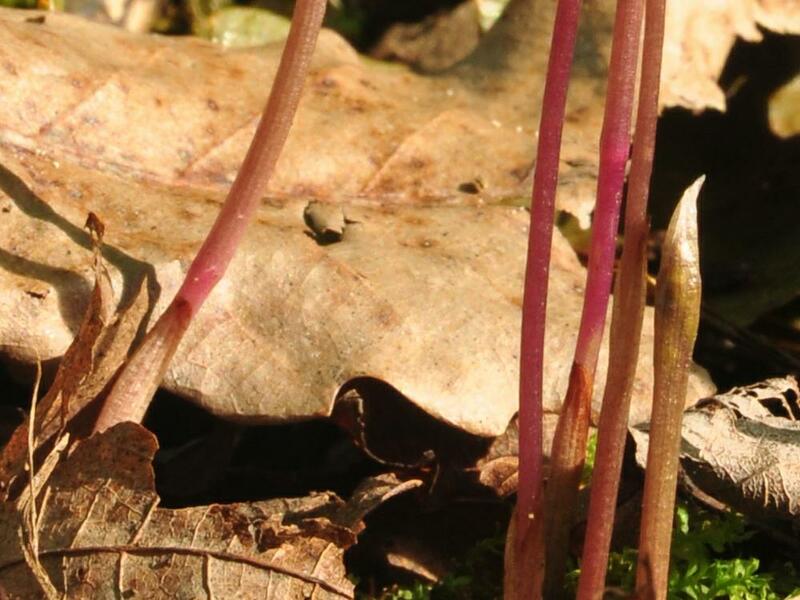 Like other members of its genus, it is myco-heterotrophic: it primarily obtains nutrients not from photosynthesis but through mycorrhizal fungi. 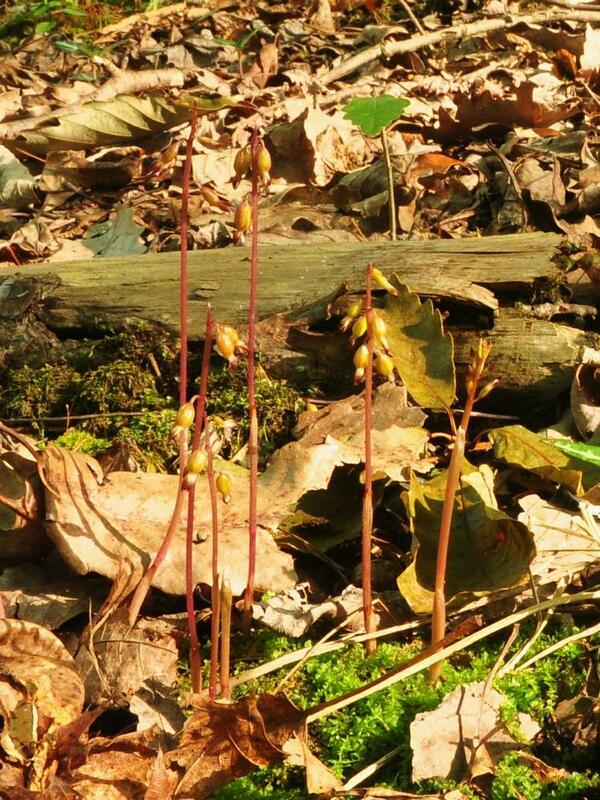 It stays underground until the fall, when it produces a yellow, greenish, or purplish brown stem, with the base of the stem swollen into a bulb-like structure. 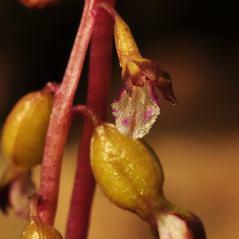 It produces up to 26 small, reddish purple, brown, or greenish flowers, with a white labellum often spotted with purple. 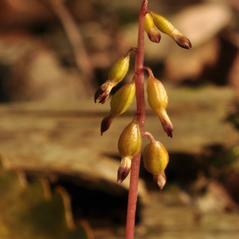 The flowers can be either chasmogamous or cleistogamous; cleistogamous is the most common form. 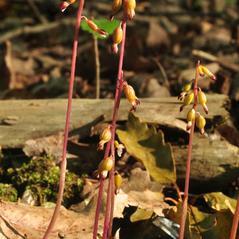 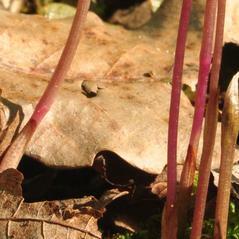 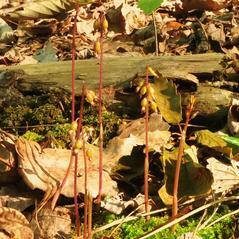 It grows in a wide variety of forested upland areas. 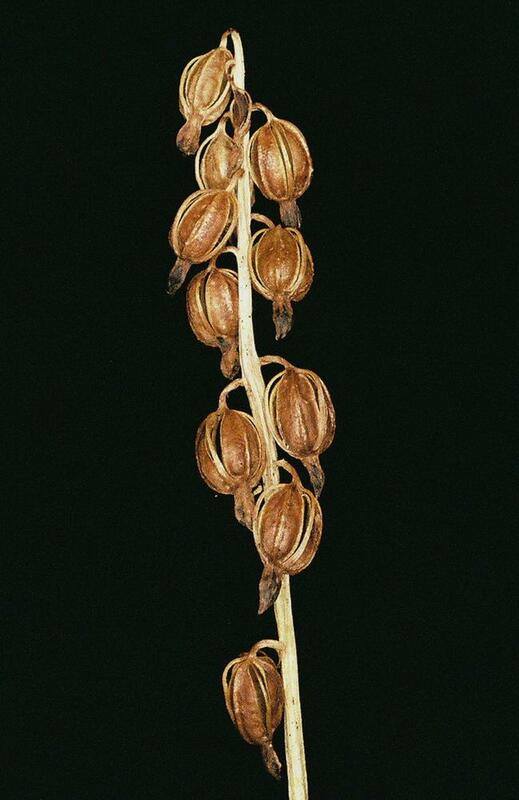 Corallorhiza odontorhiza is globally considered to be secure, but is rare in several northern and western states. 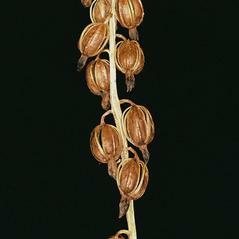 It can be distinguished from C. maculata by its later blooming period and undivided labellum. 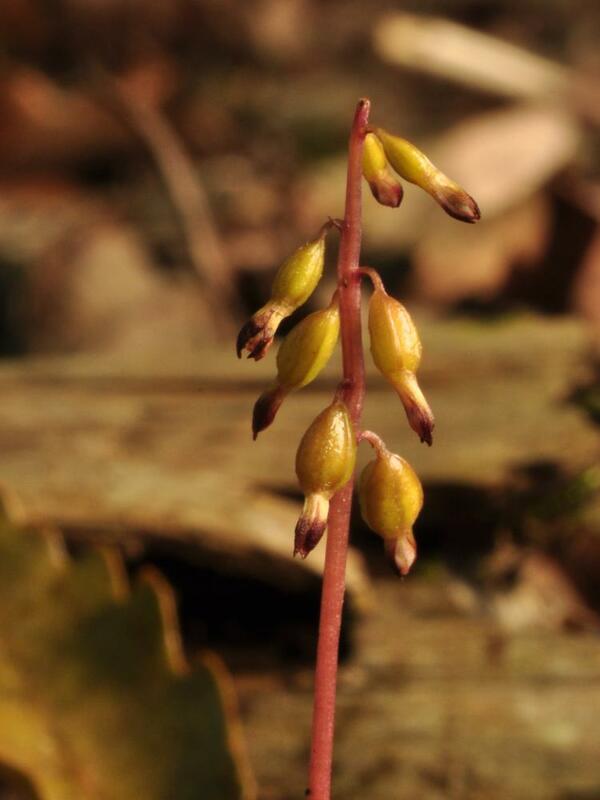 Individuals of this orchid may have flowers that are either closed and self-pollinating (cleistogamous) or open (chasmogamous). 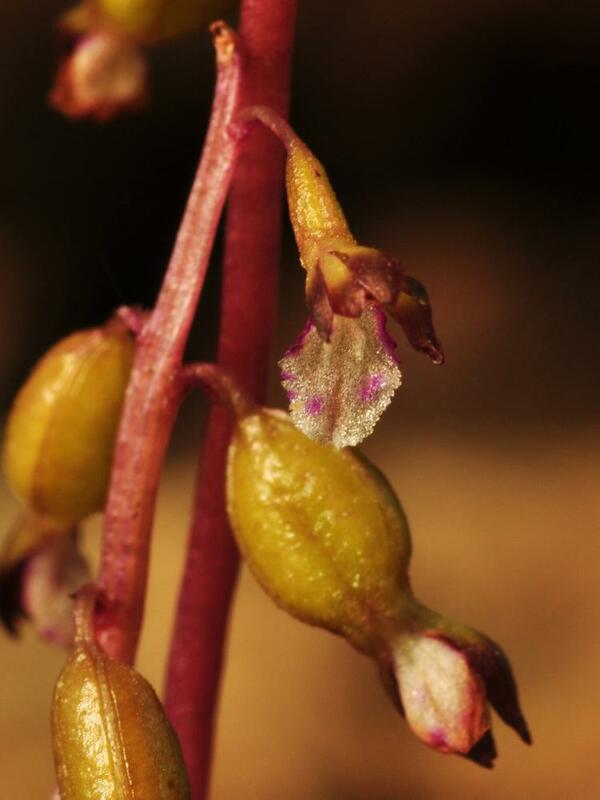 No pollinators have been identified for these open flowers, although in exclusion experiments seed set was very low for chasmogamous plants, leading researchers to believe these flowers are dependent on pollinators. 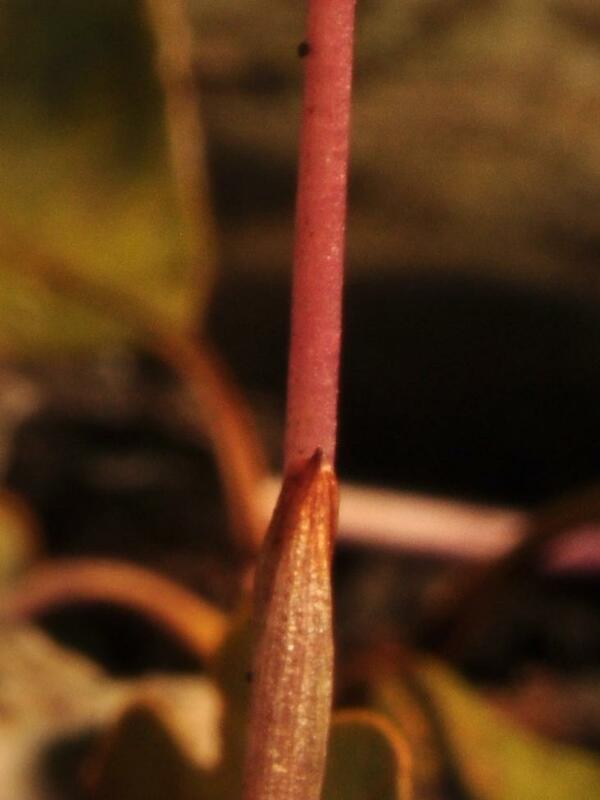 Corallorhiza odontorhiza has two varieties: Corallorhiza odontorhiza var. 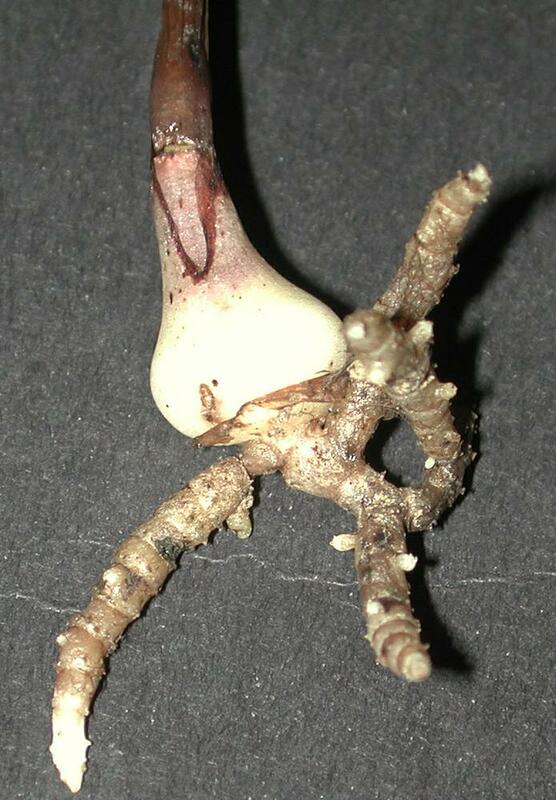 odontorhiza is widely distributed across the eastern U.S.and generally has a closed perianth. 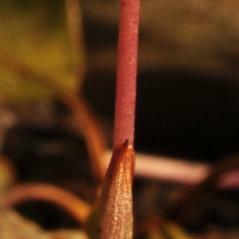 Corallorhiza odontorhiza var. 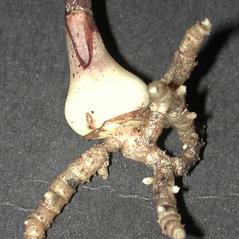 pringlei is limited to some populations in the Mid-Atlantic and Great Lakes states and generally has an open perianth.